Find the perfect gift for mom at Pewabic Pottery’s Mother’s Day Shopping Event on Wednesday, May 5 from 6-9 p.m. This evening event at Pewabic’s historic landmark in Detroit offers refreshments, door prizes and specials. 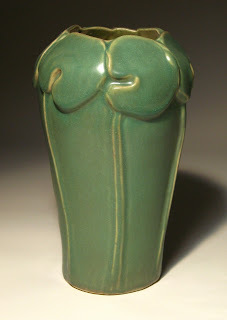 Pewabic Society members can double their discount up to 20 percent. Pewabic Pottery is open to the public year round and offers classes, workshops, lectures and tours to children and adults. Pewabic continues to create tile for architectural and offers galleries that showcase more than 70 ceramic artists and a museum store for purchasing handmade items. Visitors are welcome, free of charge, during regular business hours Monday – Saturday from 10 a.m. – 3 p.m. and Sunday from noon to 4 p.m. To learn more about Pewabic Pottery, visit www.pewabic.org. Pewabic Pottery can be found at 10125 E. Jefferson Ave. in Detroit across the street from Waterworks Park.